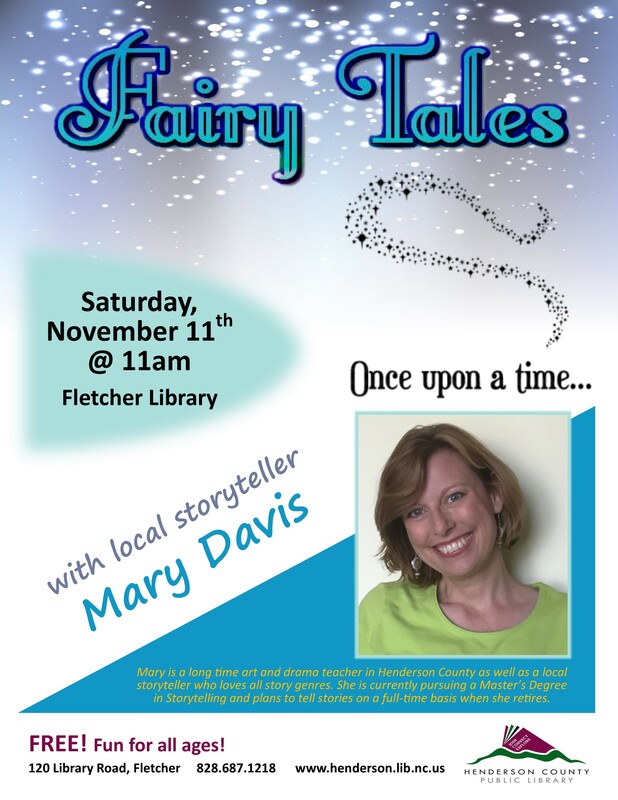 Local storyteller Mary Davis will share fairy tales with folks of all ages. November 11, at 11:00 AM. For more information, contact the Fletcher Library at 687-1218.